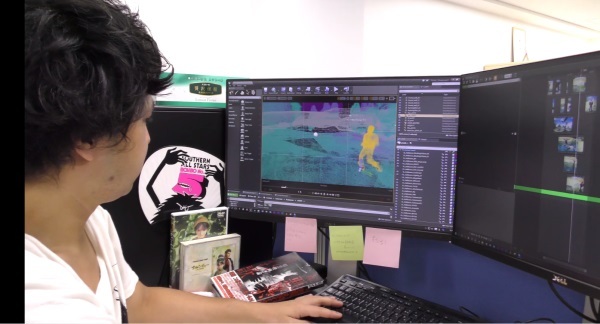 Well, although the update video wasn't long at just over 2 minutes, it was worth the wait with live demonstrations of QTE scenes being created, one a reconstruction of Ryo jumping rocks to cross the river with Shenhua in Shenmue II, and one new instance of QTE gameplay from Shenmue III in the making. I'll mention a few of the things that caught my attention as I watched. And we're looking forward to the next report already! The first thing to strike me (apart from the snazzy space-themed shirt the presenter is wearing) is that the title screen is labelled "Development Report Vol. 01". This suggests that today's video is the start of a series with similar updates to follow in the future. Exciting! The date stamp confirms that the footage is as recent as a week ago. 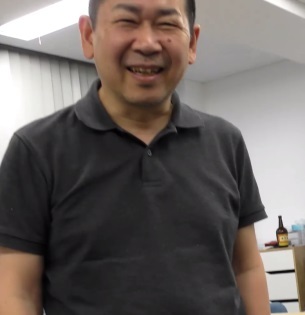 As the jazzy Shenmue theme plays, there is a brief shot of a developer in the conference room with Yu. On the monitor is the shape of a partially-rendered building. From the shape of the porch and fireplace in the floor inside, it can be recognized as being Shenhua's house which we have already seen fully-rendered in the demonstration video at MAGIC Monaco. Lower down, in the Levels list, are a couple of interesting scene names: "SL_Hakkason_SearchHouse" and "SL_Hakkason_kakurenbo". Hakkason of course is the Japanese pronunciation of Bailu village. And "kakurenbo" is the word for the children's game of hide-and-seek. Is Ryo going to drop his cool exterior and play a round or two of hide-and-seek with Shenhua?! Note 2: looks like business contact details, having a phone number, the name of a shop, name of the contact and an email address. Note 3: is a single word with the number 1 after it. Er... I hope it's not a password as that would be bad security practice! the case of the Japanese horror movie "Beneath the Sympathy with the Devil". 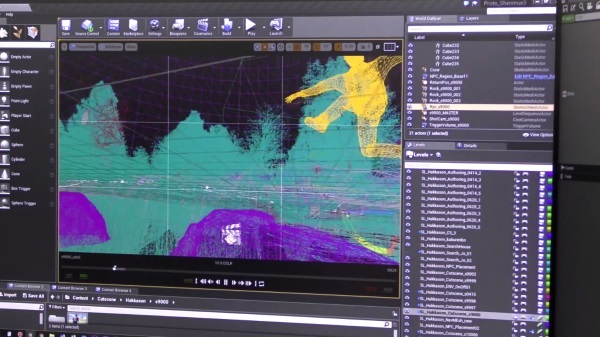 The QTE demonstration is shown to us only in wire-frame, although some thumbnails on the right-hand monitor suggest how it looks when rendered. It's probably a good approach to take for these update videos while the work is in progress, until they are ready to show something that is closer to the final product.
. As with the previous one, there's no inclusion of sound at this stage (or if there is, it is being drowned out by the jazzy Shenmue theme). Finally Yu makes a short appearance at the end (not the striped T-shirt) with a smile which is a nice way to wrap up the update. Overall, I reckon progress is looking good. What did you think of the first Development Report video? It's great to see that the QTE sequences still have a place in Shennue III and that the essence of the game seems to be in tact so far. 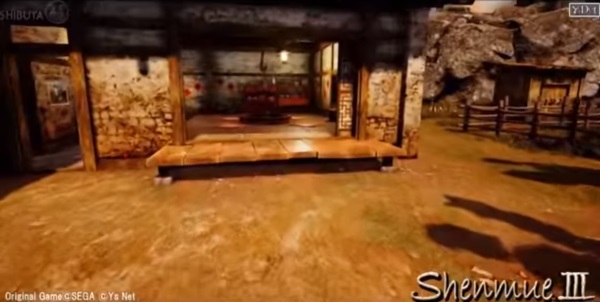 Yes, it already has the Shenmue vibe! In modern times the inclusion of QTEs seems to have grown to be somewhat controversial - but I think that's mainly because they are often not used effectively unlike Shenmue where I feel they are integrated seamlessly and with meaning. P.S. Thanks for the first comment on the blog!